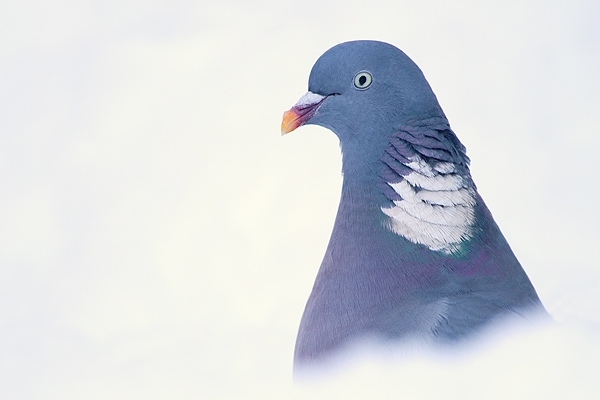 Home | Garden Birds | Woodpigeon. Dec. '10. Hole in the snow,seed at the bottom and taken as the pigeon looked above the edge of the hole.Chirnside,Scottish Borders.